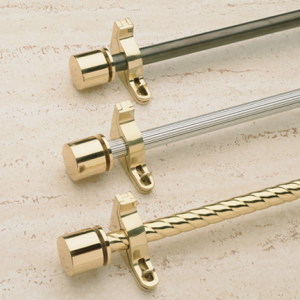 The Modena Collection of Contemporary carpet rods is the hallmark of American craftsmanship. 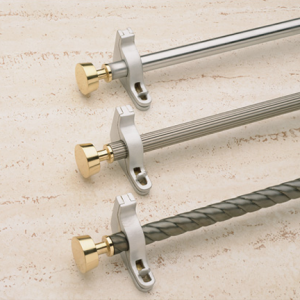 Each carpet rod is specifically fabricated to your carpet runner application. 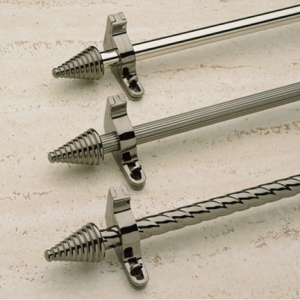 This series is available in 19 custom finishes. 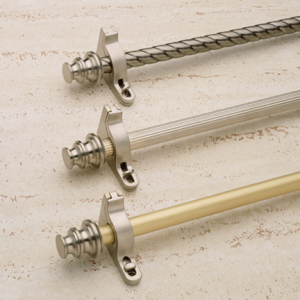 All DHS finishes are over solid brass metal. 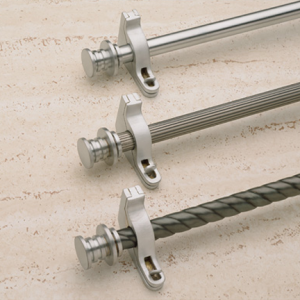 We do not substitute the base metal with inferior quality metals.In addition, we can bend your carpet rods to template for curved step application. 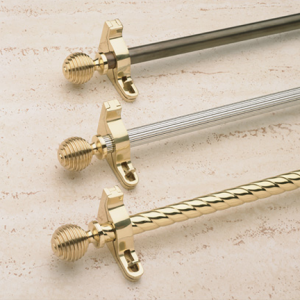 The Modena Collection uses 5/8″ diameter brass tubing and solid brass rod. 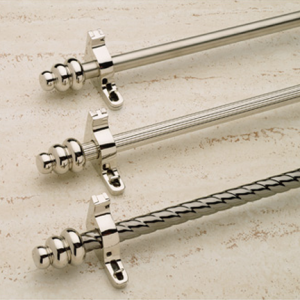 Each carpet rod is custom manufactured to each carpet runner application. 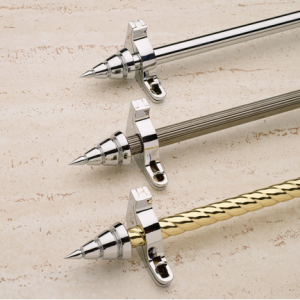 For thick carpet runners, we offer spacer assemblies to compensate for the extra thickness.